Are you familiar with APA’s Clinical Practice Guideline for the Treatment of Posttraumatic Stress Disorder in Adults? Released earlier this year, the PTSD guideline recommends evidence-based treatments for PTSD and is supported by a comprehensive website of resources. APA is offering a complimentary webinar to members to help them learn more about the guideline and consider how to apply it to their clinical work. Resources for patients and families to help them understand PTSD, its causes, and its effects and treatment options. Join us, December 12 at 1:00 p.m. EST for this FREE 60-minute webinar. Can’t attend at that time? Register anyway and we’ll send you the recording a week after the live event. Lynn Bufka, PhD, is Associate Executive Director, Practice Research and Policy, at the American Psychological Association. 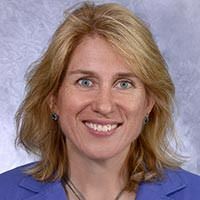 Dr. Bufka oversees programs and projects related to expanding opportunities for professional psychology including integration of psychology in the health care delivery system, diagnostic and functional classification, clinical practice guideline development and outcomes measurement. She frequently serves as a media spokesperson for APA on these topics and other policy matters relevant to professional practice. Additionally, Dr. Bufka is a Maryland licensed psychologist and continues to provide treatment and clinical consultation on a limited basis. Register now for this FREE 60-minute webinar.